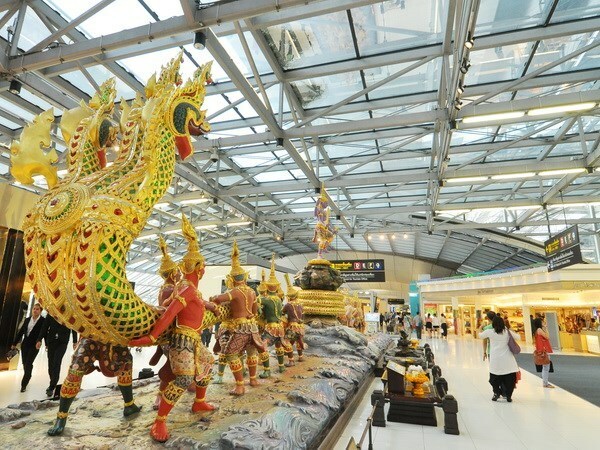 Bangkok (VNA/NNT) – Don Muang and Suvarnabhumi airports of Thailand have been named in the top ten Asia Pacific airports providing on-time service. The Airports of Thailand (AoT) has reported that website flightstats.com, a portal for real time aviation information that collects data from across the globe, has recognised both Don Muang and Suvarnabhumi airports for their on-time service in June this year. Don Muang airport was the fourth on the list serving an average 10,000 flights while Suvarnabhumi airport was tenth, serving 13,820 flights on average.